As a wheelchair athlete, I have been to many places and met a lot of great people. These people have been from all backgrounds, many different cities and countries, and with various disabilities. Unfortunately, though I have met all kinds of people, the population of adaptive athletes is still relatively small. This means that competing in adaptive sports takes a great deal of traveling and many awkward recruiting conversations. I often stop people I see with disabilities to ask if they are interested in wheelchair sports. Usually, they are caught off guard and not that interested. Every now and again they are interested, and I can get them involved in physical activity. This makes those times it doesn’t work out worth it. This form of recruiting to spread the word about adaptive sports is very common. The face to face grassroots effort is what these great adaptive sports have been built upon. It is, in my opinion, also why the sports are regionalized, and not as widespread. I do not fault this recruiting because it has worked, but it needs to expand. People who have been involved in adaptive sport and have benefitted from adaptive sport need to do their part to pass it on to the next adaptive athletes. To do this, adaptive athletes and others need to work together to start more programs at all levels. Whether you want to be on a college campus, a recreational team that practices only a couple times a week, or with junior players, adaptive sports needs people dedicated to new teams. Adaptive sports needs more people willing to stick their neck out and reach out to new athletes of all ages. Jared is pursuing his doctorate in biomechanics at Auburn University. 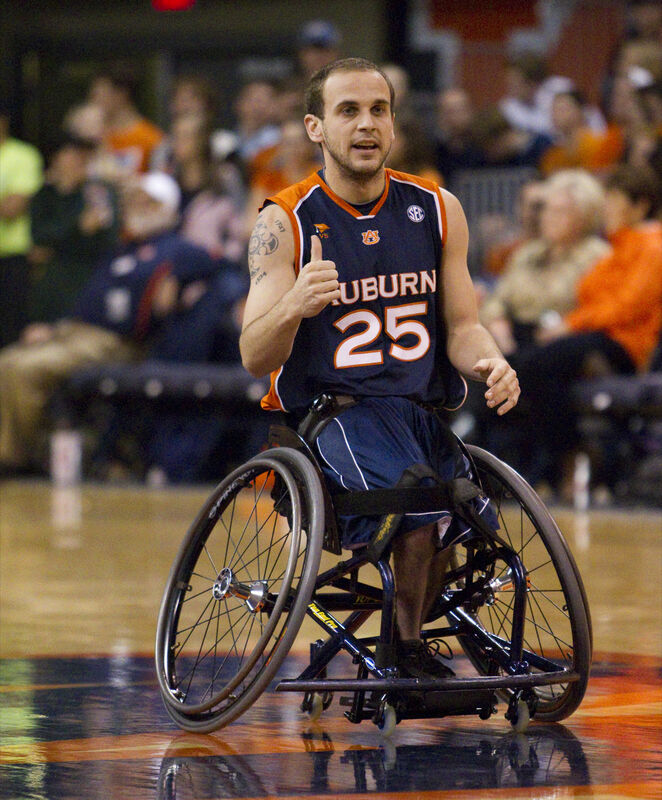 He is the head coach and a player for the university's wheelchair basketball team. Jared has participated in wheelchair sports for 14 years. With his degree, he hopes to conduct research on the optimization of wheelchair sports. Jared enjoys wheelchair tennis, wheelchair basketball, and watching college football. He is also excited about his upcoming wedding in August 2013. What is going on in your sports world?